If you find a spider web in the house on Christmas morning, it is believed to be a sign of good luck! There is a Ukrainian folk tale, which tells the story of a poor family who had nothing with which to decorate their Christmas tree but a few meagre items from their larder. The spiders decided to give them a gift and overnight, spun their webs all over the tree. In the morning the family awoke to find their tree sparkling and glittering with silver as the sunlight struck the spiders’ webs. And so Ukrainians often include spider decorations on their Christmas tree. Want to make your own Ukrainian Christmas spider? 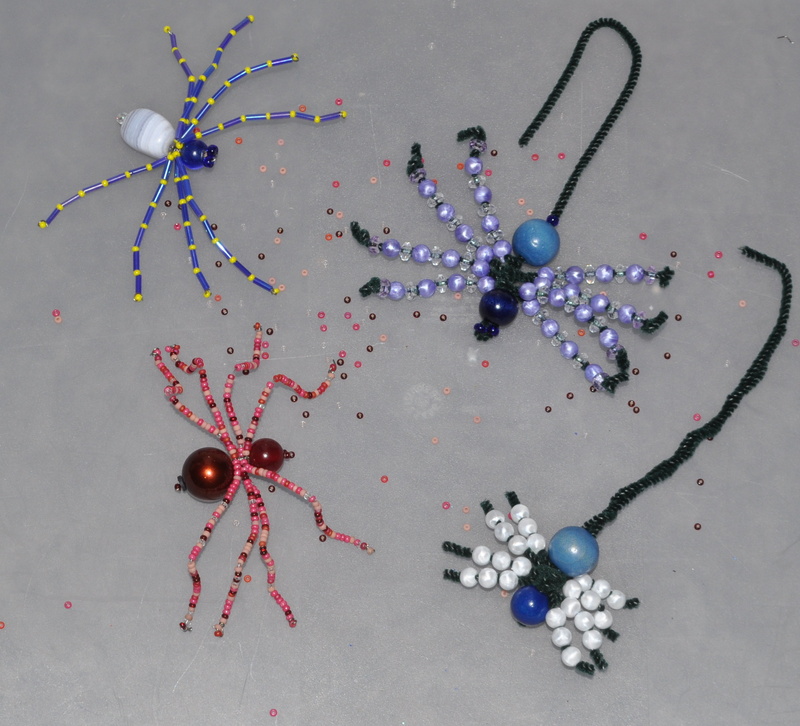 Click on the beaded spider instructions. This entry was posted in Ukrainian Christmas by claftc. Bookmark the permalink.